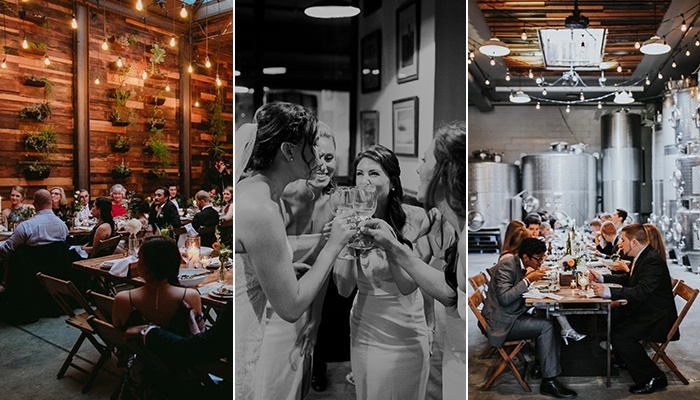 Saturdays are often thought of as king when it comes to wedding dates, but here at Brooklyn Winery, we book Friday and Sunday weddings almost as quickly. There are many advantages to looking beyond a Saturday for your celebration (Women Getting Married can back us up here)! Choosing your wedding date can seem like a huge decision, but the truth is that day of the week should fall pretty low on the priority list, especially if it means that you can get married during the season you prefer at the venue you love! 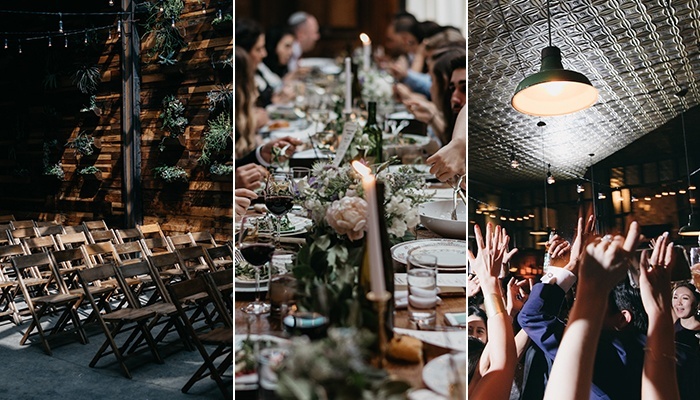 We’ve outlined all of the pros for Fridays and Sundays, to give a little love to these oft-overlooked wedding days. Friday and Sunday share a lot of benefits that a Saturday can’t offer. Non-Saturday weddings often mean more wiggle room when it comes to pricing. Whether in the form of lower minimums or reduced per-head pricing, you may end up with a more budget-friendly price tag, which is always something to be excited about! Hotels also offer better rates for Friday or Sunday nights, making it easier for out of town guests. Because Saturday’s are typically sought after first, vendors are often easier to book on off-peak days. This applies to photographers, florists, bands and DJs, as well as makeup artists and officiants. It’s important to stack your wedding day-of crew with people that you truly trust, so if the chances are higher that they/ll be available, Friday and Sunday weddings definitely get a boost! A Friday wedding means festivities can continue throughout the weekend, after the big hoorah. This allows for a post-wedding brunch or even just some fun activities and downtime with the people who’ve traveled far to celebrate with you. On the other hand, a big Sunday celebration means a weekend of fun building up to the big day. Saturday can be a full day of wedding preparation, making the day of as smooth and stress-free as possible! It also gives out of town family and friends an opportunity to settle in before the wedding, and perhaps do some sightseeing, or even just catch up. Additionally, Sunday weddings oftentimes start earlier in the day, which assures bright lighting (for winter weddings, this is a major plus!). As we always say, the wedding that is right for you won’t necessarily be right for another couple, so it’s important to make choices that make sense for you! 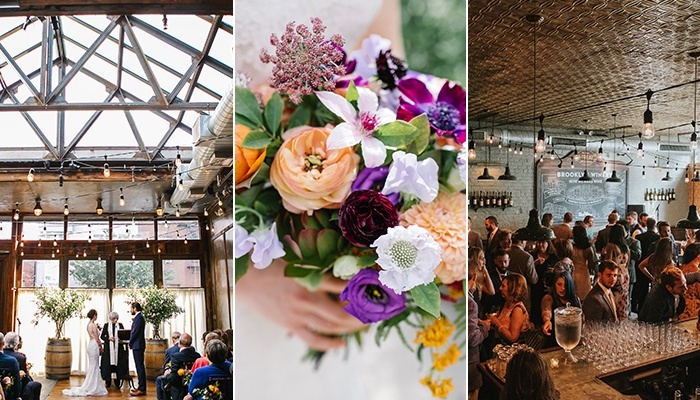 If you have your heart set on a Saturday, be sure to start your venue search early, and know that you will likely be considering a date further in the future. And if you’re looking at a Friday and Sunday weddings, rest assured that the advantages are numerous! Currently in the early stages of the venue hunt? 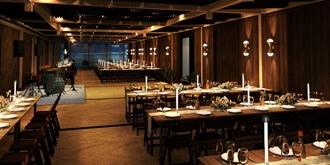 Hop over to our Wedding Overview page and submit an inquiry to get the ball rolling!